BRUSSELS, Belgium, August 6, 2018 (ENS) – With Europe in the grip of a heatwave and with little rain to ease the drought, sunburned ground and dry vegetation are succumbing to fire. Fires have now broken out as far north as the Arctic Circle, in Sweden. Officials fear that the record temperatures and drought are linked to climate change. Residents on the island of Björkö in Gothenburg’s archipelago were ordered to evacuate Sunday after fire broke out and spread quickly towards a settlement. Around 1,500 people live on Björkö; the fire has now been brought under control. Authorities have evacuated other Swedish villages and have been appealing for assistance from fellow EU Member States. Help has been coming through the European Civil Protection Mechanism. Over 360 fire-fighting personnel, seven planes, six helicopters and 67 vehicles were mobilized in the past three weeks, to assist Sweden in combating the unprecedented forest fires. This is the largest European Civil Protection operation for forest fires in the last decade and the single biggest forest fire operation in terms of deployment of staff. 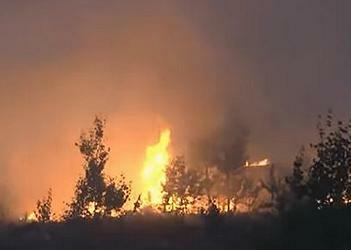 An estimated 50 fires are now burning in Sweden. Through July there have been three times as many fires as there were last year. “Rainfall has only been around a seventh of the normal amount, the lowest since record-keeping began in the late 19th century,” Olsson said. The northern part of the world is warming faster than the planet as a whole, says the World Meteorological Organization, WMO. That heat is drying out forests and making them more susceptible to burning. The WMO cites a recent study that found Earth’s boreal forests are now burning at a rate unseen in at least 10,000 years. Wildfires also release carbon dioxide into the atmosphere, contributing to global warming, the WMO says. The pristine Arctic environment is particularly sensitive and fragile and is warming faster than most other regions, the WMO explains. Particles of smoke can land on snow and ice, causing the ice to absorb sunlight that it would otherwise reflect, and thereby accelerating the warming in the Arctic. Fires in the Arctic also increase the risk of further permafrost thawing that releases methane, which is also a greenhouse gas. In Greece, an 85-year-old man today became the 90th person to die as a result of July’s deadly wildfires near Athens, and another person has since died, bringing the death toll to 91. The fire service said that number includes the unidentified remains of two people whose relatives have not come to claim them. In late July, the flames spread through the Attica Peninsula, fanned by gale force winds. The coastal tourist town of Mati, east of Athens, was among the worst-affected areas. Eyewitnesses said hundreds of people fled into the sea as the fires overwhelmed them, while others were trapped by the flames. Mati no longer exists, says the mayor of the nearby city of Rafinas, Evangelos Bournous. Much criticism of the official response to the blaze centered on the lack of evacuation plans for residents. The government says the fires were started by arsonists and blamed illegal construction for blocking escape routes. On Friday, Nikos Toskas, the minister responsible for the coordination of the police and fire service, resigned, according to the office of Greek Prime Minister Alexis Tsipras. 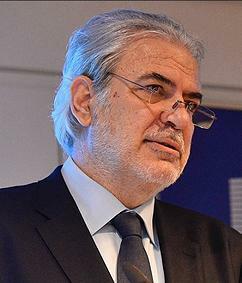 Toskas’s duties have been handed to Interior Minister Panos Skourletis. 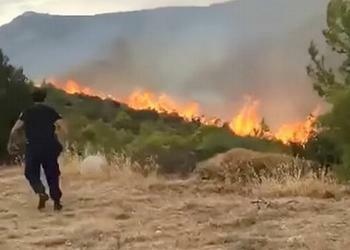 On August 1, the first lawsuit was filed against authorities for the loss of life in Greece’s wildfire, just as the government submitted legislation detailing financial relief for victims. Relatives who lost family members in the fires two weeks ago brought the case to the public prosecutor’s office amid mounting criticism over the government’s response to the catastrophe.